As Brendan Kelly danced to upbeat music at the Borderline Bar and Grill in Thousand Oaks, California, he heard a familiar sound: pop-pop-pop-pop. Kelly remembered hearing the same noise–the distinctive rattle of gunfire–at a country music concert in Las Vegas last year, and immediately took action. “As soon as I identified where the target was, or where the threat was, I grabbed at least two people around me and yanked them as hard as I could to the nearest exit,” Kelly told KABC news, a CNN affiliate. Kelly and several other patrons escaped through a rear exit and fled to safety. At that point, Kelly called his relatives to inform them he had lived through a second shooting. The Marine Corp veteran attributed his survival to divine providence. “Only thing I can attribute it to is God, his protective hand over me that night on October 1 (last year in Las Vegas) and last night,” he said. In his conversation with KABC reporters, Kelly struggled to come to grips with the Borderline shooting, which occurred just a block from his house. “It’s too close to home,” he said. 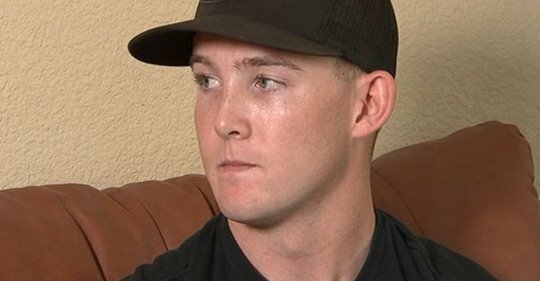 Borderline had served as a “safe space” for Kelly and other survivors of the Las Vegas massacre–but that very place fell victim to the violence Kelly and his friends sought to escape. Kelly’s conclusion? Only God could provide ultimate safety from danger.